The simple fix that could heal the patent system. 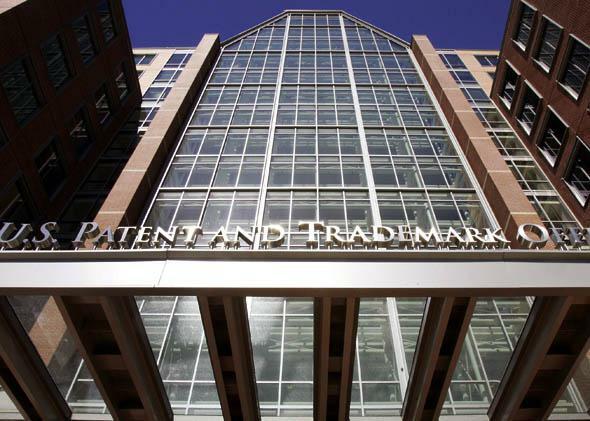 This simple change could fix the patent system—but it’ll never happen. The U.S. Patent and Trademark Office is currently limited in its ability to turn down patent applications. This article is part of Future Tense, a collaboration among Arizona State University, the New America Foundation, and Slate that explores the ways emerging technologies affect society, policy, and culture. On Dec. 9, 2013, Future Tense will host an event on patent reform in Washington, D.C. For more information and to RSVP, visit the New America website. In June, in a White House blog post titled “Taking on Patent Trolls to Protect American Innovation,” Gene Sperling, assistant to the president for economic policy and director of the National Economic Council, warned: “In recent years, there has been an explosion of abusive patent litigation designed not to reward innovation and enforce intellectual property, but to threaten companies in order to extract settlements based on questionable claims.” From 2007 to 2011 the number of firms sued for patent infringement more than doubled, and in 2011 patent trolls cost defendants $29 billion in out-of-pocket legal costs and payments to settle the lawsuits. Many people think that this problem of excessive patent litigation would be solved if the U.S. Patent and Trademark Office simply applied tougher standards so that it rejected more “low-quality” patent applications—that is, those that can’t really claim to be wholly new or are obvious improvements on existing technology. Economist Shawn Miller estimates that 27 percent of all patents have at least one claim that is not valid and, therefore, should not have been granted. In some areas the quality is much worse. He estimates that 38 percent of software patents have invalid claims, as do 53 percent of patents on methods of doing business and 59 percent of patents owned by patent trolls. Low-quality patents are a problem for society because they reward undeserving parties and, perhaps more important, they subject real innovators to unnecessary lawsuits. Last year, for example, David Kappos, then director of the Patent Office, argued that stronger patent review guidelines would reduce the number of low-quality patents that end up causing disputes. But this ignores a peculiar feature of U.S. patent law: The Patent Office cannot actually reject any patent application. Oh, a patent examiner can issue a “rejection” letter, but the applicant can keep an application alive simply by filing a response. In turn, the patent examiner can then issue a “final rejection.” But this, too, is doublespeak: All the patent applicant has to do is file a “continuation” under one of several possible procedures in order to keep the patent application pending for as long as 20 years. This little-known facet of the law is unique to the United States. Every other major patent office in the world can actually reject patent applications. Perhaps that is one reason no other country has problems with patent trolls to the degree the United States does. But while Congress is currently debating patent reform, changes to the troublesome continuations practice are not in any of the draft proposals now circulating. That is unfortunate, because continuations are responsible for low-quality patents, extra litigation, and a patent processing backlog that delays the issuance of patents on truly worthy inventions. Every patent application is assigned to a single evaluator, called an examiner. Want to get a patent you don’t deserve? Keep the application going until you either wear down the examiner or, thanks to high examiner turnover, you get a more favorable examiner. Company lawyers routinely keep making minor tweaks to patent claims, hitting the examiner with more paperwork, until the application is approved. In this way, patents that should be rejected—and were in fact rejected many times—ultimately get approved. Consider, for example, Apple’s patent on the slide-to-unlock feature used to activate the iPhone (patent No. 8,046,721). This patent was found to be infringed in the lawsuit in which Apple won a nearly billion-dollar judgment against Samsung. But in 2005, when Apple first wanted to patent this feature, it had a problem. There were already dozens of patents covering this kind of activation function. This was not, after all, a major scientific breakthrough; all sorts of older technologies had dealt with different ways of activating a device. Moreover, years before Apple had even started iPhone development, a Swedish company, Neonode, had already been marketing a cellphone that you activated by sliding your finger across a touch screen. The way the Neonode cellphone implemented the feature differed slightly from the iPhone because it didn’t use a graphical icon that moved with your finger. But patents are supposed to be granted only for inventions that are not obvious to an engineer in the field, and engineers are taught that adding a graphical icon is a standard method of user interface design. So it’s not surprising that Apple’s patent application was initially rejected. Apple’s lawyers tweaked the language. The examiner rejected it again. Apple tried another minor change in 2009, leading the examiner to issue a “final rejection.” Apple then filed a continuation. Three more times, Apple’s lawyers tweaked the claim language, argued the case to the patent examiner, and were rejected. Finally, in 2011, after Apple’s attorneys submitted slightly new language, the examiner relented and granted patent No. 8,046,721. What was the great inventive step that convinced the patent examiner to finally issue a patent, the inventive step that is apparently worth hundreds of millions of dollars from Samsung? Apple added the word “continuous” to the patent claims: To unlock the cellphone under Apple’s patent, the user’s finger had to maintain continuous contact as it moved across the touch screen. It appears that Apple had worn the patent examiner down. Of course, the prior patents implicitly involved continuous motion without explicitly using that language. And people using Neonode’s phone had kept their fingers continuously in contact with the touch screen. But this language tweak gave the examiner a fig leaf to cover his weak justification for granting the patent. This was still a patent that should not have been issued. But the grant had consequences: Four months after the patent was issued, Apple sued Samsung. Generally, the only way that an applicant can fail to get a patent is if the application is abandoned altogether. Well-heeled companies who can afford the lawyers and fees to keep barraging patent examiners don’t drop many applications. In 2012, of all patent applications that were resolved in some way, only 11 percent were abandoned; the other 89 percent of applications were allowed, according to researchers at the University of Richmond. Inevitably, this high allowance rate means that many low-quality patents are issued, patents that should be rejected by patent examiners and which, in many cases, were rejected multiple times. Continued patents are much more likely to be litigated than are other patents—not only because they result in low-quality patents, but also because they permit a particularly nasty legal tactic: A patent applicant with a continued application can rewrite the claim language so that the patent covers technology that is developed after the patent is filed. In the worst cases, so-called “submarine patents” are kept hidden from the public as they mark time in the Patent Office. Innovative companies come along and develop new technology only to find themselves surprised one day with a patent infringement lawsuit, a lawsuit based on a patent application that was rewritten to cover the defendant’s own innovations. For example, a patent troll called Rambus was invited to attend meetings of JEDEC, a semiconductor trade group that was establishing a new standard for memory chips. Rambus offered a technology, but JEDEC chose to go in a different direction. According to the Federal Trade Commission, Rambus withdrew from JEDEC and subsequently rewrote its continuing patent applications to cover the technology that JEDEC was developing. Rambus was later able to collect hundreds of millions of dollars from memory chip manufacturers based on these patents, engaging many of them in lengthy lawsuits. Yet the courts have ruled that what Rambus did was perfectly legal. Hundreds of thousands of applications are waiting to be examined, leading to long delays before inventors can obtain patents. These delays have led congressional representatives to call for more funding for the Patent Office. Paradoxically, however, funding for more examiners might not help. If patent examiners process applications more rapidly and reject many of them, applicants will simply submit more continuing applications. With more examiners, the total number of applications might even grow rather than shrink. In 2012, 43 percent of patent applications were for refiled continuations, more than double the share in 1996. In other words, the patent application backlog is largely the result of continuations policy—so abolishing continuations would go far toward eliminating the backlog. Unfortunately, that’s unlikely to happen. If there is a legitimate rationale for having continuations, it is so that patent attorneys can draft better patents, giving them multiple opportunities to revise claim language. But the normal patent examination process already provides multiple opportunities for applicants to revise claims. The law also provides for a reissue procedure, where patent claims can be modified after a patent is granted. Continuations clearly do much more than allow attorneys to get the language right. They allow attorneys to bill for multiple submissions for each invention and to get patents on undeserving applications. In 2007, the U.S. Patent and Trademark Office attempted to put restrictions on the number of continuations that could be filed on a patent application. The patent bar reacted angrily, the Patent Office was sued, and a court ruled that changing continuations procedure required congressional approval. But that’s unlikely to happen. The last time Congress visited the issue in 1999, it made it easier to file continuations. Given the strong opposition from the patent lawyers’ lobby to reforming continuations policy, none of the 11 legislative proposals currently being considered in Congress addresses this issue. Yet until continuations are reformed, it seems hard to see how the patent quality problem can be fixed.